Manchester United manager Jose Mourinho is being widely praised for dropping Romelu Lukaku against Everton this afternoon. The Belgium international is only on the bench for the visit of his old club to Old Trafford, having failed to score in his last eight games in a row for United. It looks as though Anthony Martial is the man taking his place up front, with Marcus Rashford and Juan Mata alongside him in attack, and a midfield three of Paul Pogba, Nemanja Matic and Fred. It’s a big call to axe Lukaku, but it’s also unsurprising as he just isn’t justifying his continued inclusion in the team at the moment, with Mourinho admitting as much in midweek in quotes to BBC Sport. While the manager hinted at the time that he could see the 25-year-old getting back to his best again soon, it seems he recognises the need to try something different today. 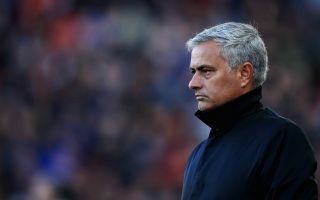 The Red Devils have generally struggled recently, with Alexis Sanchez also failing to make the starting XI, while Eric Bailly and Andreas Pereira are two fairly big names to fail to make the squad. Right decision from José Mourinho to bench Romelu Lukaku. A long time coming. Will be great to see how Marcus Rashford and Anthony Martial operate together. Big game!